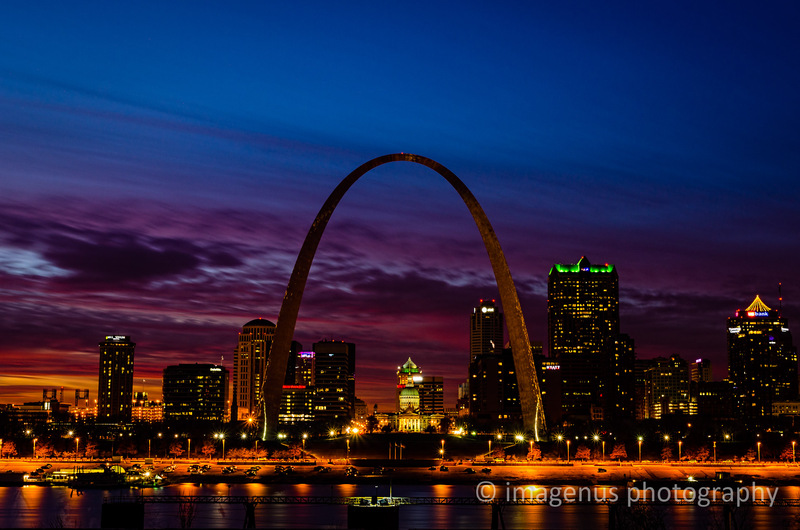 St. Louis, also known as the Gateway to the West, is the largest city in Missouri and one of the most famous cities along the Mississippi River in the United States. 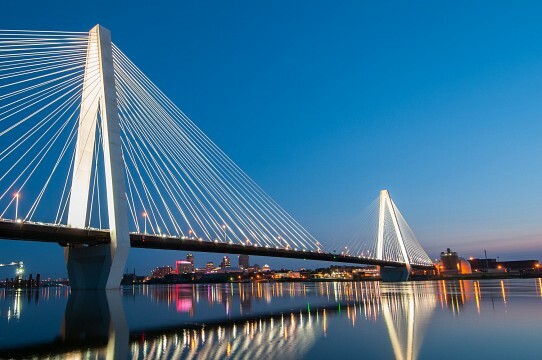 Due to its major port, St. Louis was the fourth largest city in the United States and an important cultural destination in the late 1800s, but over the decades it has lost much of its importance. Today, its metropolitan area has a population of approximately 2.8 million people, which puts it in the top 20 largest cities in the country. 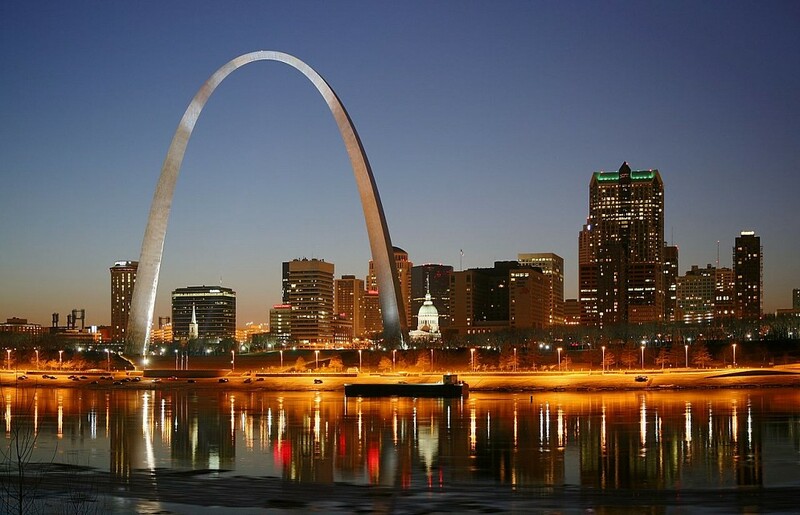 Nevertheless, St. Louis is a fascinating city to visit due to the abundance of attractions it provides, including architectural wonders like the Gateway Arch, natural attractions like the beautiful Mississippi River, and dozens of museums and historical sites such as the Anheuser-Busch Brewery. Its economy focuses on the manufacturing, service, and transportation industries as well as tourism. The city is also especially renowned as a Midwest destination due to its immensely popular professional sports teams, including the St. Louis Cardinals baseball team, the St. Louis Blues hockey team, and the St. Louis Rams football team. The history of St. Louis is particularly fascinating when compared with that of other U.S. cities since throughout its history it has been part of the Kingdom of France, the Kingdom of Spain, the French Republic, and finally the United States. The city was first founded in 1764 by French fur traders, who named if after King Louis IX of France. 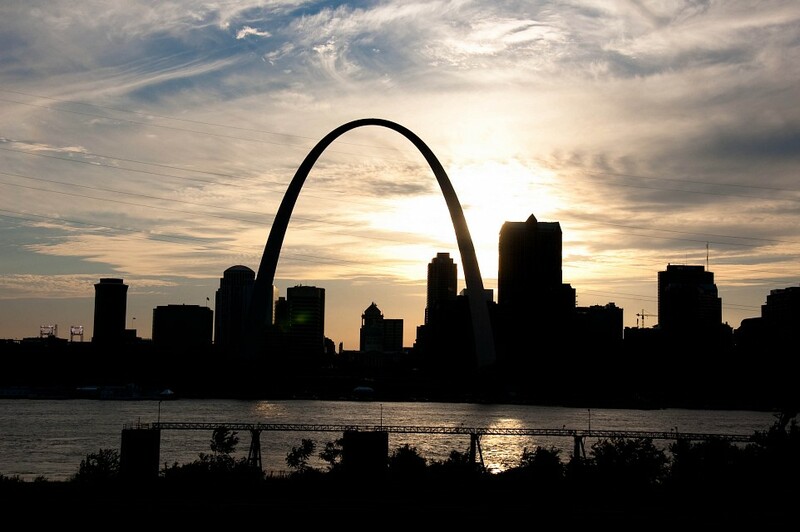 Following the Seven Years' War , the land that is now the city of St. Louis, Missouri was ceded to the Spanish and remained Spanish territory until the early 1800s. It briefly became part of the First French Republic, but was finally sold to the United States in 1803 as part of the historic Louisiana Purchase . 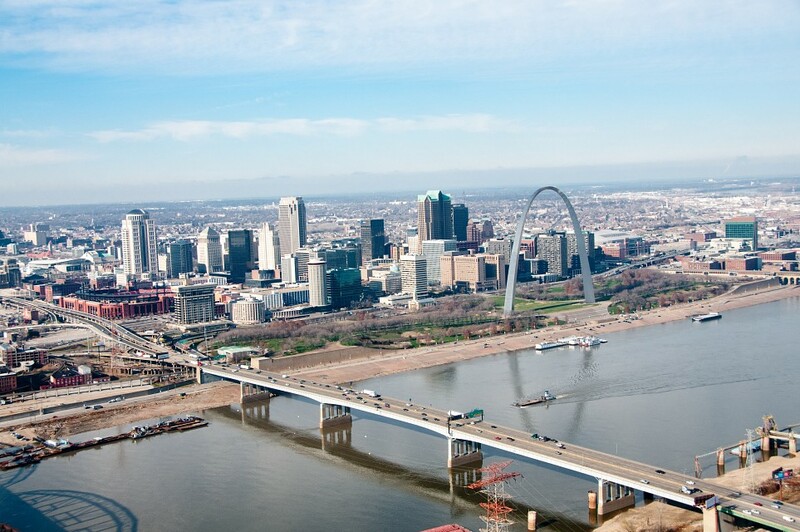 Due to its prominence, St. Louis quickly became known as the "Gateway to the West", and was the departure point of the historic Lewis and Clark Expedition commissioned by Thomas Jefferson to explore the lands west of the Mississippi River. In addition to being an important starting point for explorers, the city also grew due to the use of steamboats for transportation up and down the Mississippi River which connected it to other major cities such as New Orleans. Since the late 19th century, St. Louis has also been home to some of the city's most famous companies, including the Anheuser-Busch Brewery and the Ralston-Purina company. It has also hosted several significant world events, including the 1904 World's Fair and the 1904 Summer Olympics, which were the very first Olympic games to be held outside of Europe. There is no shortage of things to see and do in St. Louis, which is home to dozens of historical landmarks, museums, nature areas, and architectural wonders. If there's one attraction in St. Louis that you simply must visit, it's the Gateway Arch, the city's most famous landmark. This shining memorial that honors the importance of St. Louis in the western expansion of the United States is the tallest monument in the Western Hemisphere. Once you've explored the informative Museum of Western Expansion underneath the arch, you can climb into one of the futuristic capsules that will take you to the top of the 630-foot stainless steel catenary arch in order to enjoy spectacular views of the Mississippi River and the entire city of St. Louis. 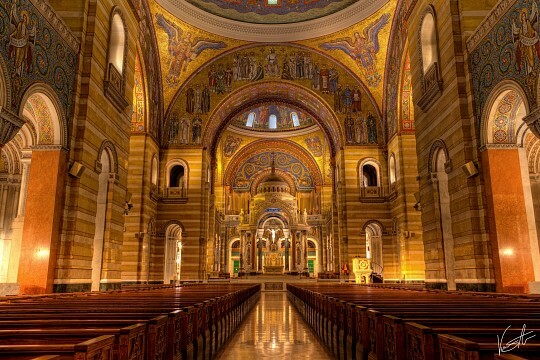 The most famous religious landmark in St. Louis is undoubtedly the Cathedral Basilica of Saint Louis, also known as Saint Louis Cathedral. This beautiful cathedral is known for its immense collection of mosaics, which contain over 40 million pieces of glass in over 7,000 colors. In fact, it showcases one of the largest mosaic collections in the entire world. In 1997, the cathedral received the honor of being named a basilica by Pope John Paul II. If you like to visit unique attractions that are unlike anything you could find anywhere else in the world, you shouldn't miss the chance to visit the City Museum, a popular museum in St. Louis that describes itself as an "eclectic mixture of children's playground, funhouse, surrealistic pavilion, and architectural marvel made out of unique, found objects". The only way to truly understand what the museum is like is to visit it yourself. Adults and children alike will have a blast exploring its caves, sliding down the thrilling 10-story slide, marveling at the world's largest pencil, and will be captivated by the museum's very own shoelace factory as it makes custom shoelaces that you can take home as a souvenir. One of St. Louis' most famous products is Budweiser beer, which has been brewed at the historic Anheuser-Busch Brewery since 1852. Visitors are welcome to take tours of the Budweiser brewery in order to learn about its brewing process and taste a couple of the many products that are now produced worldwide by Anheuser-Busch InBev. Although beer-loving adults will certainly enjoy the tour more than young visitors, children are welcome to come on the tour and enjoy meeting the world-famous Budweiser Clydesdales, which have represented the brand for several decades. 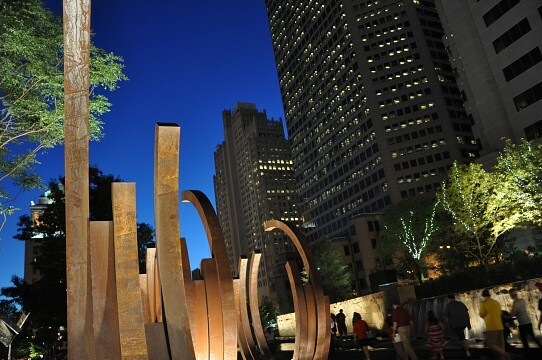 The Citygarden is a popular park and sculpture garden in downtown St. Louis that is the perfect place to visit before or after a trip to the Gateway Arch. It contains 24 fascinating sculptures and art installations as well as stunning water features where you can cool off in the summer heat. On a nice day, the Laumeier Sculpture Park is a great attraction to visit since it combines nature with art. This open-air sculpture park located in the suburb of Sunset Hills is home to over 60 fascinating sculptures surrounded by nature, including a monumental sculpture by Alexander Liberman called The Way, a local landmark which was made from salvaged steel oil tanks. The Jefferson National Expansion Memorial is a national park in downtown St. Louis which was created in 1935 in order to commemorate the Louisiana Purchase, the first civil government west of the Mississippi River, and the history of the Dred Scott court case. This huge park by the Mississippi River encompasses several popular St. Louis attractions, including the Old Courthouse which was the site of the Dred Scott case, a controversial Supreme Court case related to slavery that led to debate that eventually led to the start of the Civil War. The park also includes the Gateway Arch and the Museum of Westward Expansion that can be visited beneath it. Grant's Farm is a historic farm that once belonged to former U.S. President Ulysses S. Grant. It eventually became the property of the Busch Family that founded the Anheuser-Busch Brewing Company, who have turned it into a family-friendly attraction. Highlights include the stables that house the famous Budweiser Clydesdales and all kinds of activities that allow visitors to interact with farm animals. Those interested in natural history and archaeology will definitely want to save some time to visit Cahokia Mounds, an archaeological site just across the Mississippi River from St. Louis in Illinois. It consists of the pre-Columbian site of Cahokia, a city that was once home to between 10,000 and 20,000 people, which is considered to be the most complex archaeological site in the United States. If you like mysteries, you're sure to be fascinated by the culture that created the many earthen mounds as you walk the trails and explore the museum exhibits that tell what archaeologists have been able to determine about them so far. Meramec Caverns is a cave attraction that is one of the most popular roadside attractions in the United States. If you have a car to visit attractions outside of the city, then you're sure to enjoy taking a tour of these beautiful caverns in the Ozarks that have been open to the public since the 1930s. Other activities include riverboat rides and canoe floats on the scenic Meramec River and zip line adventures. Last but most certainly not least, there's Forest Park, the largest park in the entire city, which consists of 1,400 beautiful acres of nature areas and attractions. In addition to its tennis courts, golf course, ice skating rink, hiking trails, and paddle boat rentals, the park is home to some of the city's most famous cultural institutions, which all offer free admission to the public. The Saint Louis Art Museum located in the heart of Forest Park is a wonderful free art museum that features artwork from around the world, including impressive works by artists like Ansel Adams, Roy Lichtenstein, Picasso, Monet, and van Gogh. Another free attraction is the Saint Louis Science Center, which has hundreds of fascinating hands-on science exhibits, an OMNIMAX theater, and a historic planetarium where you can see star shows and learn about the universe. Finally, there's the Saint Louis Zoo, the park's most popular attraction. 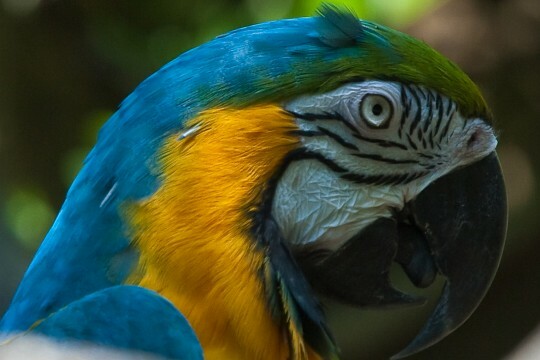 In addition to being one of the few free zoos in the United States, it is home to a huge collection of animals, including meerkats, penguins, kangaroos, and sea lions. St. Louis offers a lot of dishes that are native to the city, but the one thing you have to try is the authentic barbecue, and there are many places that have perfected the art of grilling and smoking. The most notable type of barbecue is the Pork Steak, which is the rump of a pig lathered in hometown sauce. The place that was voted as having the best BBQ in St. Louis was Bogart's Smokehouse on 9th Street. It offers the traditional BBQ (such as ribs and pork steak) but also has some unique flavors with sandwiches you wouldn't expect. Pappy's Smokehouse is also a great location if you are looking for some of the best ribs in the city. It goes great with some sweet potato fries and baked beans right from the pit. If you have a sweet tooth, then you should definitely head to Ted Drewes, a pair of frozen custard shops in St. Louis that are a local favorite. Its most popular item is the "concrete", a shake that is so thick that they can serve it to you upside down without the custard falling out of the cup. If you have the means in your budget and want to stay in one of the best hotels in all of America, then check out Beall Mansion. It offers some of the finest luxuries and amenities that you can find in a hotel. There's even chocolate on-hand in the hotel at all times. However, it is located on Millionaire's Row , so you know the price isn't going to be cheap. For a slice of history, you will want to visit The Roberts Mayfair on St. Charles Street. It has been open since the 1920s and every A-list star or politician that has visited St. Louis prefers this hotel. There is a lot of luxury that's offered and is the hottest spot for visitors. For other top-line motels, check out the Millennium Hotel St. Louis, Ritz-Carlton on Carondelet Plaza or the Chase Park Plaza. They all have fantastic reviews and are set in locations near the best sights in the city. The city of St. Louis offers a lot of great areas to shop. The downtown district has gotten several upgrades in which you will find high-end stores and boutiques without having to step into a huge mall. If the traditional mall setting is what you're looking for, then check out St. Louis Mills. There are nearly 200 stores and it even offers a skating area. For the non-traditional route of shopping, then visit the Delmar Loop. This area is surrounded by younger people and college students, so they offer a variety of different items that you may not find in the usual shopping centers or malls. Finally, you will want to check out Plaza Frontenac for the stores that are only found in the highest end centers in the major cities of America. There is also a movie theater in this location that screens unreleased movies. The city of St. Louis are very enthusiastic about their sports teams, but it is widely considered to be a baseball town first and foremost. The Major League Baseball team there is the Cardinals, and they play their home games at the beautiful new Busch Stadium . Their previous stadium had the same name, and it carries on the legacy of great baseball in St. Louis. The National Hockey League Team that calls St. Louis home is the Blues, and they play at the Scottrade Center, right in the heart of the city. The other major sports team is the Rams of the National Football League, and they play at the very large Edward Jones Dome which has been home to some classic football games. St. Louis does not have a particularly high crime rate in the areas that have the top sightseeing spots. The downtown area is considered to be very safe, as well as the Clayton and Forest Park districts. However, you may want to be careful if venturing outside of the downtown area as the north and east areas of St. Louis can be very dangerous. Also, just as in most major cities, the bar areas can tend to get rowdy at night so you might want to avoid them if you are not participating in the festivities. 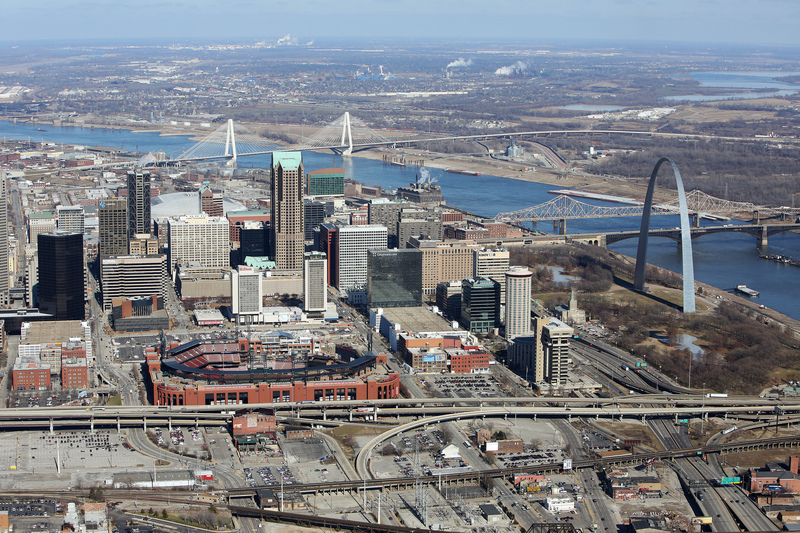 There are a few different airports in St. Louis but the most notable would be the Lambert St. Louis International Airport, that has connections to many of the major cities in America. The three smaller airports in the city are Spirit of St. Louis Airport, St. Louis Downtown Airport, and Creve Coeur Airport. If traveling by car, I-70, I-64, I-55, and I-44 all arrive at the city, and I-270 makes a loop around town. This makes St. Louis a very accessible place. St. Louis also offers a bus stop downtown, a train station (which is handy if coming from Chicago) and even by boat. The boats travel north and south on the Missouri River. Once you are in the city, traveling by car is the most popular transport method. Traffic can get a bit tough, but it's not as bad as some major cities. There is also a rail system that can get you to the major parts of the city, including the airport.